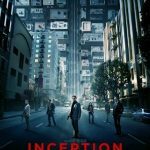 I truly enjoyed watching the great movie Inception from director Christopher Nolan with Leonardo Di Caprio. It is a mind twisting film which is definitely difficult to follow and takes some time to understand fully (if ever). A funny note comes from the adaption of the mind blowing trailer after the break.